In 2012 the Los Angeles Dodgers were bought out of bankruptcy in the most expensive sale in sports history. Los Angeles icon Magic Johnson and his partners hoped to put together a team worthy of Hollywood. By most accounts they have succeeded, if not always in the way they might have imagined. In The Best Team Money Can Buy, Molly Knight tells the story of the Dodgers' 2013 and 2014 seasons. She shares a behind-the-scenes account of the astonishing sale of the Dodgers, revealing why the team was not overpriced, as well as what the Dodgers actually knew in advance about rookie phenom and Cuban defector Yasiel Puig. We learn how close manager Don Mattingly was to losing his job during the 2013 season-and how the team turned around the season in the most remarkable fifty-game stretch (42-8) of any team since World War II, before losing in the NLCS. Knight also provides a rare glimpse into the infighting and mistrust that derailed the team in 2014 and resulted in ridding the roster of difficult personalities and the hiring of a new front office. 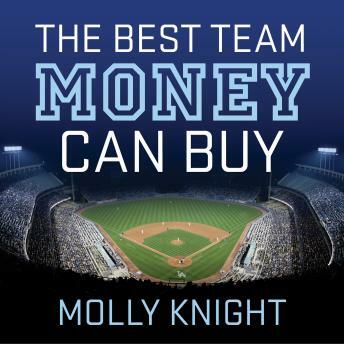 Exciting, surprising, and filled with juicy details, Molly Knight's account is a must-listen for baseball fans and anyone who wants the inside story of today's Los Angeles Dodgers.